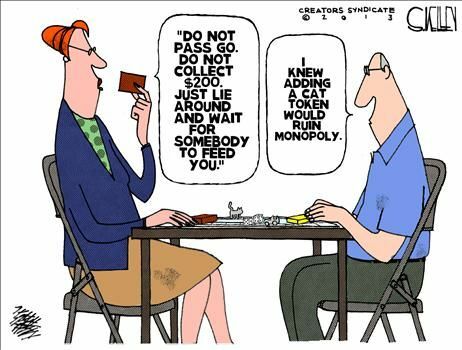 An interesting and amusing allegory for our society today, produced by the controversial Dr. Joseph M. Mercola. 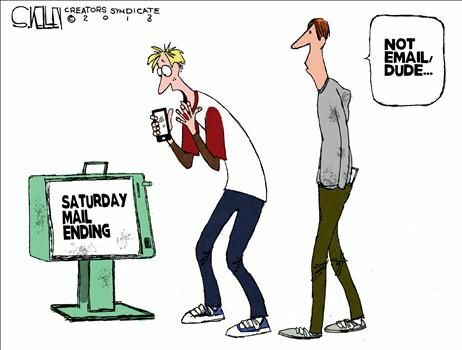 SO GOD MADE A LIBERAL! “I would love for people to be able to think of me as a guy who stood up for what he believed in and helped make a difference for the vets,” mused Chris Kyle, Navy SEAL veteran just days before he was shot and killed. Kyle made a difference, no mistaking it. The slain former Navy SEAL was recognized as the deadliest sniper in U.S. history, racking up 160 confirmed kills (Kyle claimed a total of 255, and though the others could not be officially confirmed, I am inclined to take the straight-talking Texan at his word). To put Chris Kyle’s record into perspective, the legendary Vietnam War sniper, Carlos Hathcock, scored “only” 93 confirmed kills. In Iraq, where from his sniper perch he overlooked and protected American men and women down in the streets below, he was known to our enemy as Shaitan Ar-Ramadi: “The Devil of Ramadi“. In 2008, outside Sadr City (a deadly Shiite slum in Bagdad), he made his longest successful shot, taking out an insurgent he spotted about to fire a rocket launcher at a U.S. Army convoy in the street. He did this from a range of 2,100 yards, or 1.2 miles away! When asked if he had any regrets concerning his actions in Iraq, he said his only regrets were for those Americans he couldn’t save. 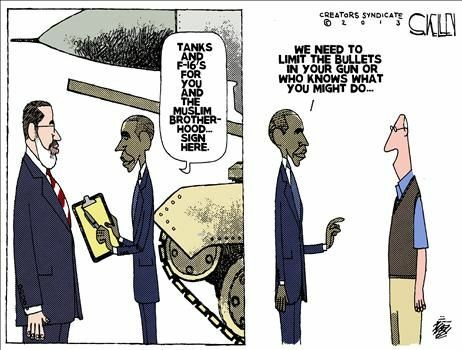 Just how many of his fellow men-and-women in uniform he saved can never be calculated. But the number must certainly be prodigious. It was not just as a warrior that Chris Kyle served his comrades. After returning to civilian life, Kyle paired with FITCO Cares Foundation, a non-profit organization which created the Heroes Project to provide free personal training and life-coaching to in-need veterans with disabilities, Gold Star families, or those suffering from Post-Tramatic Stress Disorder (PTSD). It was while attempting to help one such lost soul suffering from PTSD that Chris Kyle was gunned down. Kyle and a companion, Chad Littlefield, were killed on Saturday, February 2, 2013, at the Rough Creek Lodge shooting range in Texas. The Marine Corps veteran they were attempting to rehabilitate, Eddie Ray Routh, “allegedly” turned his gun on his two mentors, before fleeing the scene. Routh was soon apprehended and is awaiting arraignment. While looking at the images of both Chris Kyle and his scruffy, scrawny “alleged” killer I found myself musing about other great warriors and heroes who were struck down through treachery by men not fit to carry their boots (or sandals, in centuries past). Seldom does the mighty Hector fall to the spear of the even greater Achilles in glorious single combat. That is the stuff of immortal legend, the death in battle warriors throughout the ages dream of (the Spartans called such a death Kalos Thenatos: “The Beautiful Death”). Yet all too often the mighty are laid low by the most lowly. Achilles slew noble Hector, only to be struck down, from afar, by the poisoned arrow of Hector’s cowardly brother, Paris. Western hero Wild Bill Hickok, shot down from behind (while playing cards) by a worthless drifter to whom he had, just the previous day, given money to the man so he could buy himself a meal. 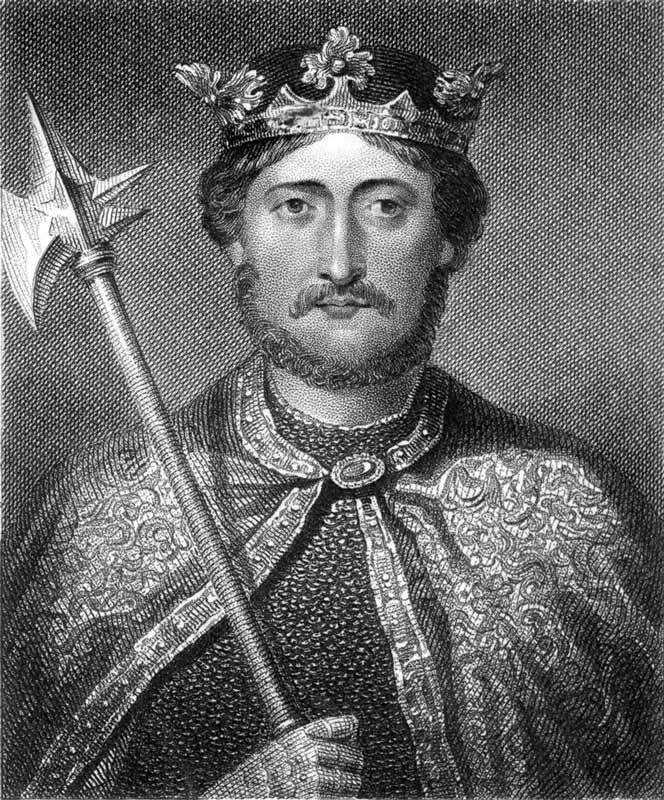 Richard the Lionheart, struck down by a lowly crossbowman from afar while besieging a rebellious nobleman’s castle. 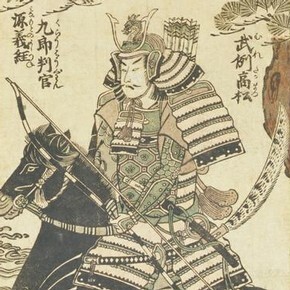 Medieval Japan’s greatest Samurai, Minamoto no Yoshitsune, hounded to death by his jealous (politician) brother’s assassins. 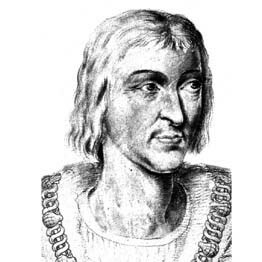 The noble and heroic Chevalier Bayard, the knight sans peur et sans reproche (“without fear and beyond reproach”); who was shot in the back by a harquebusier (soldier armed with a16th century match-lock firearm) lurking in a tree! Julius Caesar, stabbed to death on the floor of the Roman Senate by a cabal of men, all of whom owed him debts of gratitude and friendship. 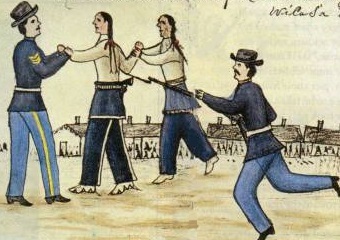 Crazy Horse, the mighty (and mystical) Lakota war chief; bayoneted in cowardly fashion by his US Army guards while under arrest. 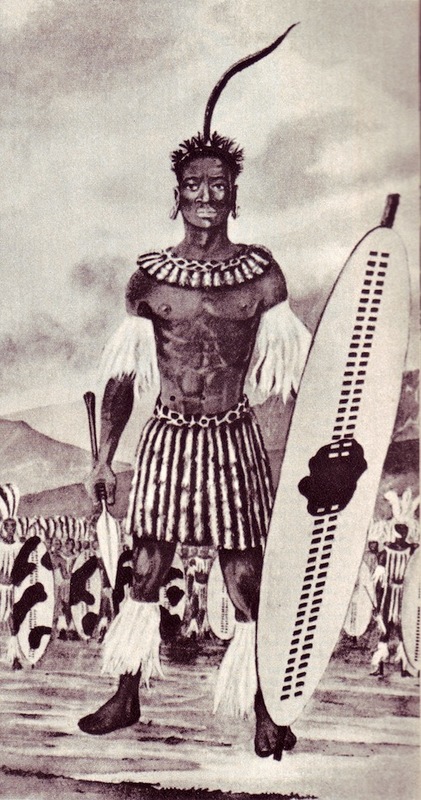 Shaka, king and founder of the Zulu Empire, held down and murdered by his own ungrateful relatives. 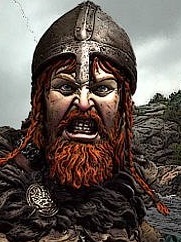 The mighty Viking hero, Ragnar Lodbrok (“Hairy Breeks”), captured by the Northumbrians after being shipwrecked; and subsequently thrown into a pit of poisonous snakes. 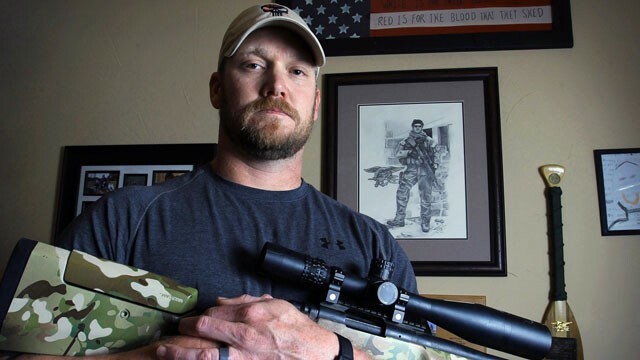 Though he did not find his “kalos thenatos”, Chris Kyle will not be forgotten. In life his deeds on-and-off the battlefield were, as the ancient Greeks would say, aoidimos: “worthy of being sung”. He authored the 2012 best-selling book “American Sniper“; certain to be the source for a future motion picture. Such will no doubt immortalize Chris as certainly for today’s audience as Homer’s poetry did in its day for Achilles. I think Kipling would agree that Chris Kyle was, indeed, a man. The world is poorer today for his passing.